Cayenne Pepper will stop a heart attack in 30 seconds. It increases circulation and boosts heart action. It helps alleviate low back pain, arthritis and fibromyalgia. 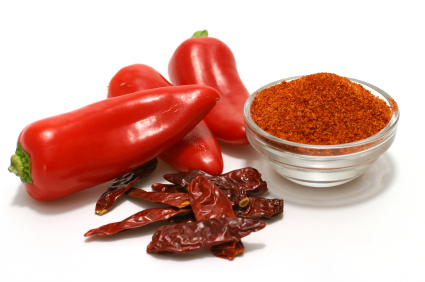 Cayenne rebuilds stomach tissue and aids digestion. It helps alleviate pain from shingles and calm psoriasis. This entry was posted on March 5, 2015 by thrivecoach12 in Herbs & Spices, Nutrient Values and tagged arthritis, boosts heart action, digestion aid, fibromyalgia, increases circulation, low back pain, psoriasis, shingles.